In the 14th century in the village of Sokoľ there was a toll barrier for rafts floating on the Hornád. During socialism there were generous donations for physical education entities near big factories as well as for departments of physical education at universities. Canoeing experienced a boom period. For certain events more buses at the same time were set out. With the new age this tradition disappeared. 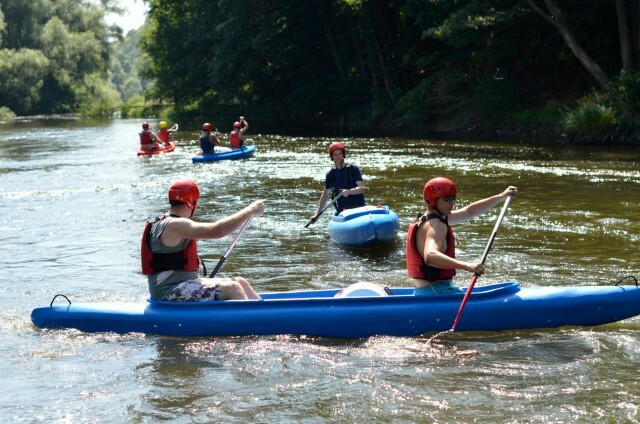 Until recently it was very difficult to lend a boat or raft a river in the Kosice region; unless one had a couple of friends – paddlers who enabled him or her both of the above mentioned. The situation is changing; the first travel agency has come with eagerness to be a “water-carrier”. Everybody can find something different in the water –a passion to discover, adventure, time spent at places not reached otherwise, views not available in other ways, floating just because; in other words, dynamic relaxation during effortless activities. There are both very safe and dangerous rivers. The one who gets caught by it can proceed according to their abilities to white-water rivers. Regardless of the rivers we, the paddlers of the region, have paddled in the world, we always enjoy returning back to the river where we learned the basics. This is the place to start also for you; a bit of courage will suffice. If you are interested, make a call, write an email and come. Come even if none of your friends wants to join you. We will understand you. Take the courage! We will teach you how to paddle a canoe or kayak; starting from the very basics through Eskimo rolls to kayaking on whitewater rivers. We will provide information as for the safety on water, paddler´s equipment and stuff you should always have with you while on water. Paddle a canoe on the Hornád, the Dunajec or any other Slovak or foreign river with an instructor. If you already have the experience, you can participate in expeditions on unfamiliar rivers. You can choose from short-term or few-days-long canoe trips on a river. The Hornád, the Dunajec or any other river on a raft with a guide. The options are adrenalin or tranquil paddling suitable also for families with small kids. This is the ideal way to start with paddling. 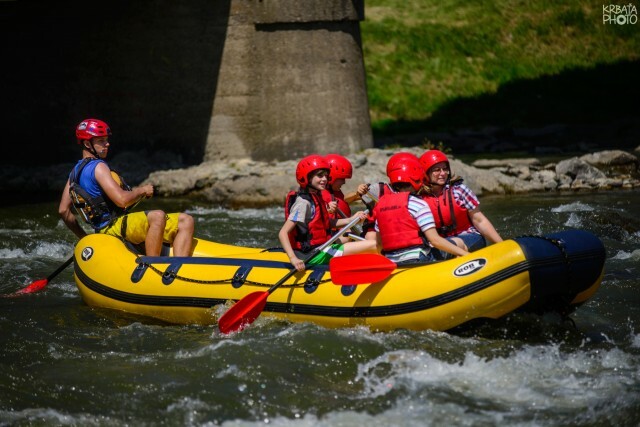 In the boathouse in Košice you can borrow open plastic or inflatable canoe, plastic kayaks, paddleboards, paddles, swimming jackets and helmets, watertight barrels and other things necessary for water. In case of your interest we can transport the boat to the starting point of paddling. 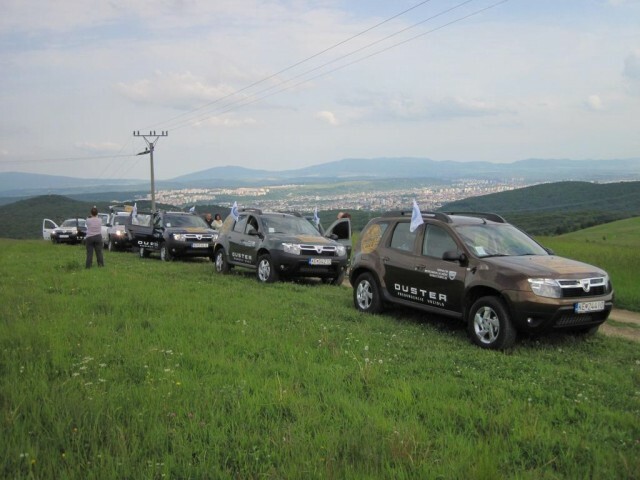 We can organize teambuilding for your company. We offer activities that support team cooperation and can assist in obtaining confidence among employees, which enhances their working effectiveness. In addition, we can provide other services, such as catering, accommodation and transport. We have various sports bows, including children ones, targets and target rifles. Archery is organized at our boathouse area in Košice or at other places. This is an outdoor game whose goal is to find hidden caches at various interesting places using GPS. We will lend you a GPS apparatus and hide caches. You can also use some of our already designed geocaching routes. Spend a trip with your students on water or by the water. Students will be watched by experienced instructors during paddling. We will supply other activities so that they are not bored on the waterside. The program can be prepared for one or more days. Try out paddling on a paddleboard. In a stand-up position it is possible to paddle the sea, the lake and also the river. 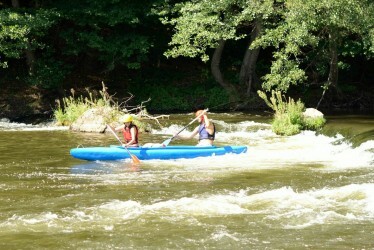 It is an advisable additional activity for adventurous trips and teambuilding by the water. Come and experience driving off-road automobiles. The driving is in open space with permission to enter the forest. The routes offer splendid views complemented by short walks or visits of interesting sights. 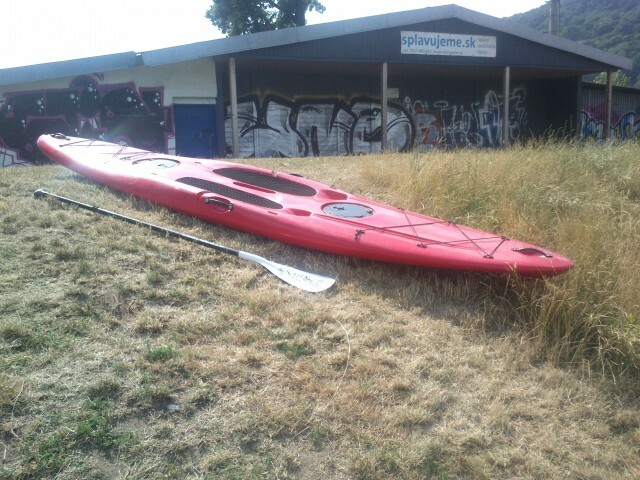 Kayak and canoe courses, courses of safety on the water. 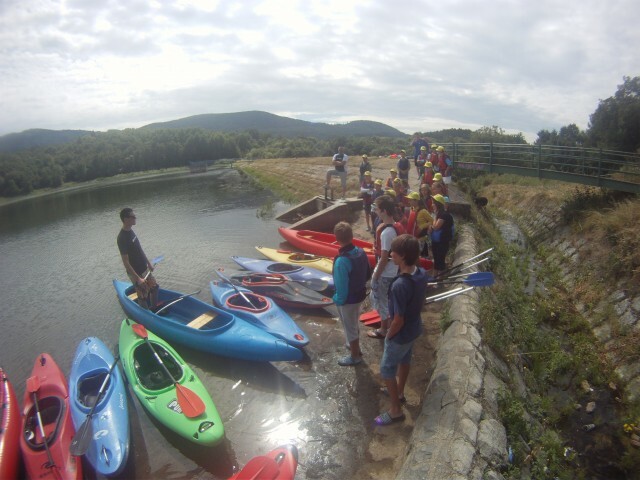 Courses for begginers, but also for intermediate paddlers. 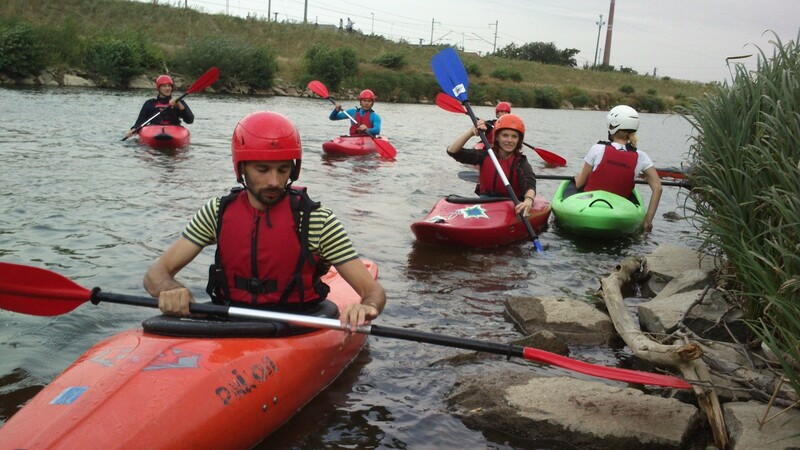 Boat rental and rental of paddlers and outdoor equipment in Košice near the Hornád river.